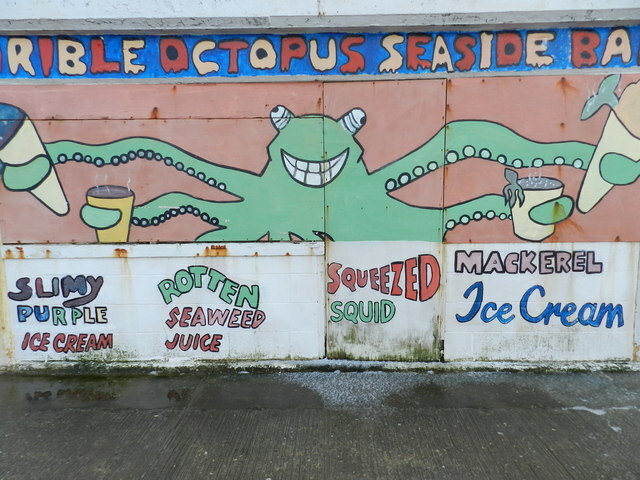 An ice-cream bar, with the most revolting sounding concoctions, including mackrel ice-cream and rotten seaweed juice. I expect any sensible child would love it.On the promenade at Sheringham. Beeston Tump or Beeston Bump! There's a forum discussion thread about this here. Tump (English spelling) is a rare word away from Wales and the border areas. It exists in both languages and means a pile or small hill. While it is an everyday word for us, I would be surprised to see it over the other side of England - but its possible. Not sure if the feature is officially called Beeston Hill as in some of the other pictures for the square, Beeston Bump seems to be the preffered name locally I think.